In a recent Fish Report, we briefly summarized the introductions of various fish species to California’s waterways for the primary purpose of providing food. Following these initial efforts to increase the variety of California fishes that could be harvested for sustenance, historical resource managers soon shifted their focus to enhancing sportfishing by expanding the suite of species available for angling. A look at some past introductions – facilitated by a painstakingly thorough review of documents pertaining to California fish introductions (Dill and Cordone 1997) – reveals that much of today’s inland sport fishing opportunity is, for better or worse, the result of fish stocking conducted well over a century ago. The most prominent group of fishes “acclimated” for sport are the various members of the black bass family. It is not entirely clear whether small- or largemouth bass were introduced first, yet undoubtedly both species arrived in California prior to 1900. From their initial introductions in the Bay Area and the Central Valley, bass were further distributed to most lakes and waterways in the state. Rare early concerns, attributed to Woodbury (1890) by Dill and Cordone (1997), regarding whether “it would be safe for the young salmon to have the black bass planted in either the Sacramento or San Joaquin rivers” generally fell on deaf ears. Official introductions by the California Fish Commission in these waters were preferred to the vigilante stocking by individuals that would undoubtedly take place, so planting of bass in Central Valley rivers continued. The Fish Commission “aimed to stock all suitable waters” with smallmouth bass, and distribution of the species – fueled by a growing availability of hatchery reared fish – continued for many decades. Largemouth bass were planted in the Feather River as early as 1891, and have since been planted in most waters, both artificial and natural, that provide tolerable environmental conditions. 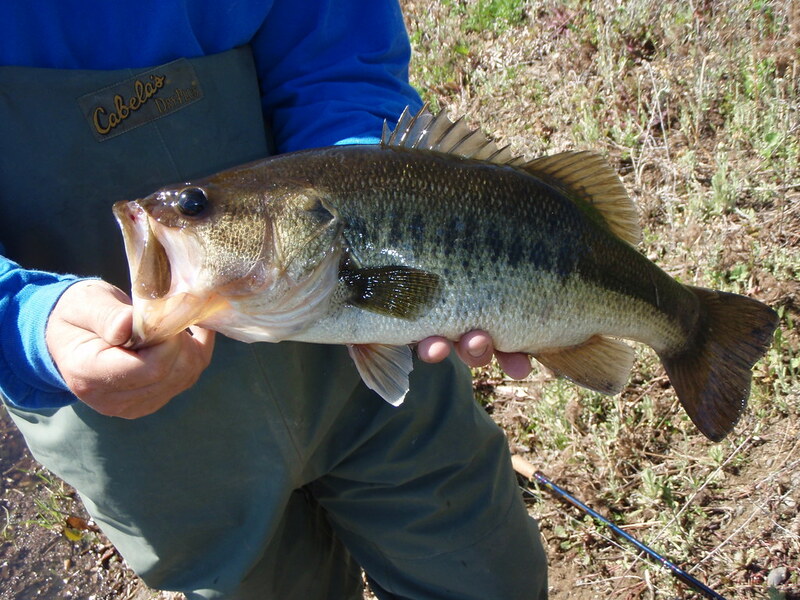 Introductions of other bass species, such as spotted bass, Alabama spotted bass, and redeye bass, came later, typically dating back to the 1930s – 1960s, and the scope of their introduction pales in comparison to small- and largemouth bass. However, these species have become the dominant bass in a few of the state’s reservoirs. 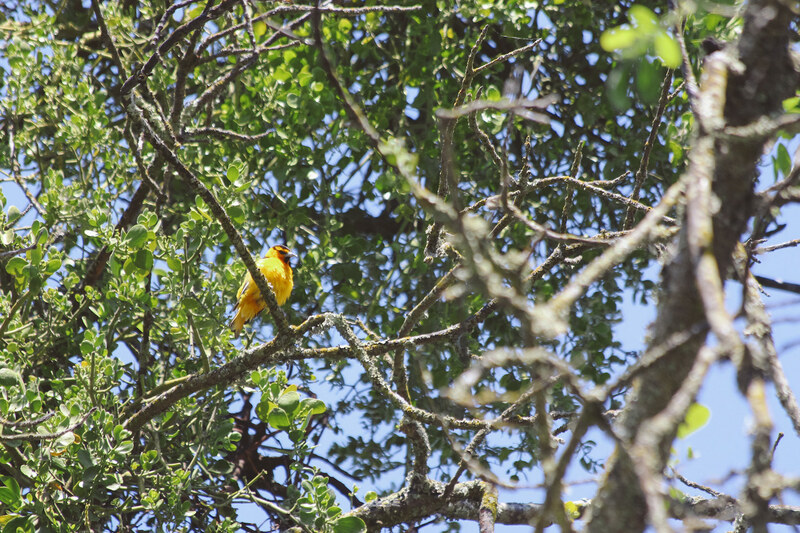 Today, California is famous for its bass fisheries, such as Clear Lake and the Delta, which are a tournament-staple on the professional fishing circuit. Introductions of bass in California’s warmer waters were mirrored by the stocking of various non-native salmonids in the state’s cooler lakes and streams. Brown trout from Germany came to Humboldt County, by way of New York and Michigan, in 1893, and were quickly distributed throughout the state. Since then, there has not been a year, except 1903, when brown trout were not planted in California. Brook trout were imported from New York even earlier, and were first stocked in the Golden State in 1871. 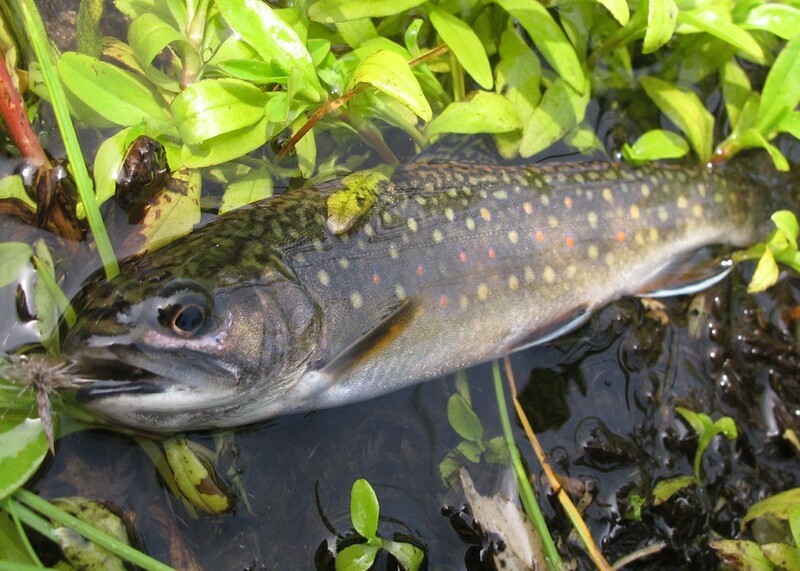 They were initially stocked in streams, but their ability to reproduce in alpine lakes without a perennial tributary allowed brook trout to persist where other species couldn’t. Today, brook trout are the dominant self-sustaining fish species in California’s high-country lakes. Only a few dozen alpine lakes in the Sierra Nevada contained salmonids prior to artificial stocking, and now trout can be found in several thousand mountain stillwaters. 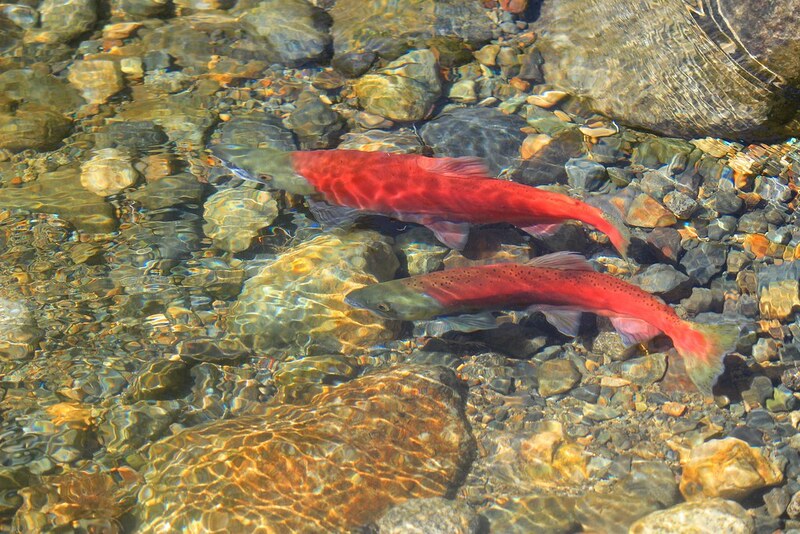 Kokanee, the land-locked form of sockeye salmon, were introduced in California in the early 1940s to provide sport in reservoirs with large fluctuations in water level, but also in Lake Tahoe where the spawning migration of bright red kokanee has become an annual spectacle that attracts wildlife and people alike. Lake Tahoe is also the most prominent lake where North America’s largest freshwater salmonid, the lake trout (which is actually a char, just like the brook “trout”), was stocked in the 1880s, and has established a self-sustaining population. Other introductions of early and eager fisheries managers can make modern-day biologists cringe, such as the planting of juvenile northern pike in the lower Feather River in 1891. For unknown reasons, pike did not become established in the Sacramento Basin following this event, or as a result of relocating “pickerel” (presumably referring to northern pike) from a reservoir in Southern California to Battle Creek, the Sacramento River, and Clear Lake a few years later. The large and controversial operations to eradicate northern pike from Frenchman Reservoir and Lake Davis clearly portrays the change in mindset since these introductions. Drastic measures, including the use of detonation cord, were considered to rid these lakes of pike, and ultimately the lakes were “chemically renovated” using a piscicide (fish poison). Other species that were considered for the benefit of anglers but never actually introduced include Nile perch, snook and tarpon. 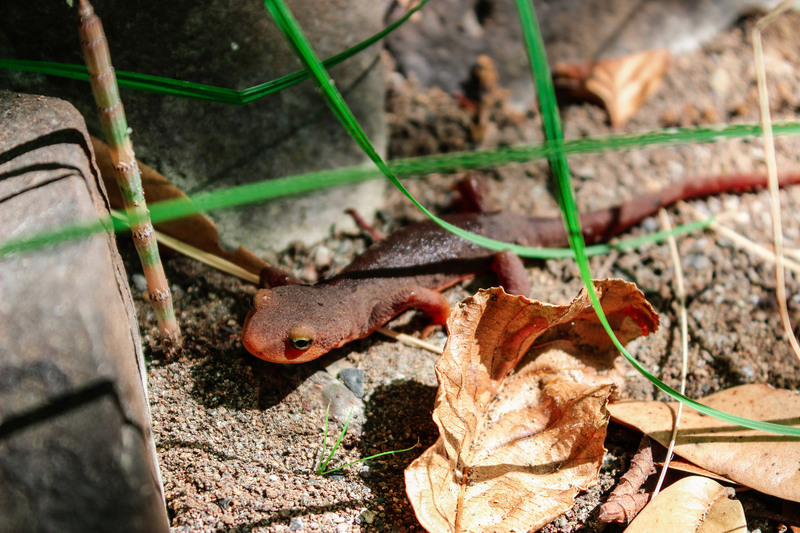 However, in addition to fish for food and fish for sport, fish were also introduced for other reasons, such as to provide forage for other fishes or as biological control for other, undesirable species. And so the saga continues…stay tuned!